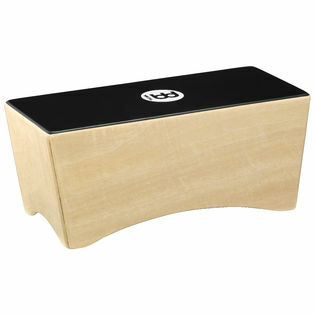 The Meinl Snare Bongo Cajon can be played like a bongo, between the legs, or on one’s lap. It comes with two snares secured to the inner side of the playing surface, for an authentic cajon sound and feel. It's got a cool sound. Fun to play! I haven't had much time to spend with this instrument yet, but it looks like it will be a lot of fun to play and has a great sound.